Six Famous Tea Mountain has selected large leaves from ancient arbor trees for this raw Pu-erh Tuocha. 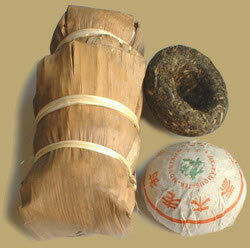 The tea with shinny luster and strong scent, wrapped in traditional bamboo shell for aging. Excellent for long-term storage.